Cover exposed skin and watch for frostbite. In extreme cold, frostbite can happen in under a minute. Wind only makes the risk greater – make sure to cover all exposed skin. The symptoms of frostbite include loss of feeling and white, or pale, appearance in extremities such as fingers, toes, ear lobes, and the tip of the nose. If symptoms are detected, get medical help immediately. Keep moving. Your body generates its own heat when you engage in physical activity. Moving will help keep you warm. Don’t overexert yourself. Cold weather can exacerbate underlying respiratory illness. If you have to stay out in the cold for work, be sure to take frequent breaks where it is warm. Moisture can speed the onset of hypothermia and can be very dangerous. If you expect to get wet, keep a dry set of clothing nearby – especially a hat, gloves, socks, and boots. Drink non-caffeinated fluids. Dehydration occurs more quickly in cold, dry weather. Be sure to keep yourself well hydrated, especially if you are exerting yourself. Avoid overexertion when shoveling snow. 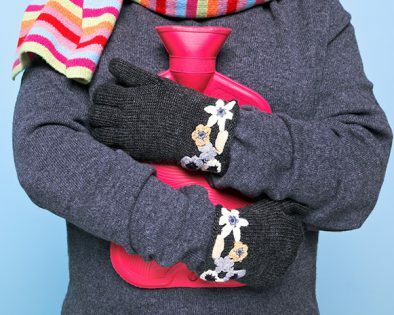 Overexertion can bring on a heart attack – a major cause of death in the winter. Be sure to stop shoveling if you have shortness of breath, heavy sweating, or any kind of pain. Avoid shoveling if you are elderly or have a heart condition. Stretch before going outside to shovel. Take frequent breaks from shoveling, even if only for a couple of minutes. Use a smaller shovel and make sure your shovel isn’t bent, tilting, or damaged. Never shovel snow if you have a heart condition. Check on elderly family and neighbors. The elderly are particularly susceptible to cold-related illness. Make sure they have adequate heat and nutritious food. Keep pets indoors. Pets suffer in the cold just like humans, yet they have little means to protect themselves. Help your pets stay warm by keeping them indoors!